The vaccine could give protection for up to 88% of known flu strains worldwide in a single shot, spelling the end of the winter flu season. The collaboration involving the universities of Lancaster, Aston and Complutense in Madrid have applied ground-breaking computational techniques to design the vaccine in a study published in the journal Bioinformatics. Even, the World Health Organisation says that annual flu epidemics are estimated to cause up to half a million deaths globally. 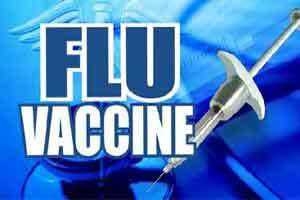 Dr Pedro Reche of Complutense University said: “A universal flu vaccine is potentially within reach. The components of this vaccine would be short flu virus fragments called epitopes that are already known to be recognized by the immune system. Our collaboration has found a way to select epitopes reaching full population coverage.